The Call continues to stand as a classic, reflective work on life's purpose. 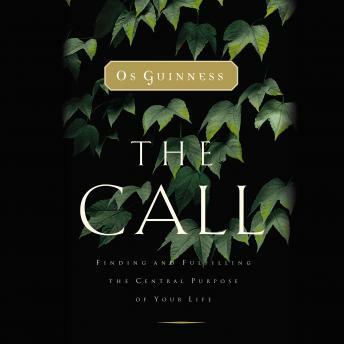 Best-selling author Os Guinness goes beyond our surface understanding of God's call and addresses the fact that God has a specific calling for our individual lives. Why am I here? What is God's call in my life? How do I fit God's call with my own individuality? How should God's calling affect my career, my plans for the future, my concepts of success? Guinness now helps the reader discover answers to these questions, and more, through a corresponding workbook - perfect for individual or group study. According to Guinness, 'No idea short of God's call can ground and fulfill the truest human desire for purpose and fulfillment.' With tens of thousands of readers to date, The Call is for all who desire a purposeful, intentional life of faith. Narrated by Os Guinness.